← Attukal Pongala 2012 in News ! Just two hours of sunlight and it is forty kilometres of happy biking. A sleek solar bicycle developed by the Trivandrum Global City of Innovation (TGCi) promises this and much more. TGCI, an initiative from the Kanthari International (formerly IISE), at Vellayani, unveiled this novel cycle at the annual meet of the Trivandrum Chapter of the Confederation of Indian Industry that was hosted in partnership with the Trivandrum Global City of Innovation. Come June, and UST Global will roll out a hundred of these solar bikes for their employees on the Technopark campus. ‘’There, we intend to put up solar panels on top of a hut and charge a battery. 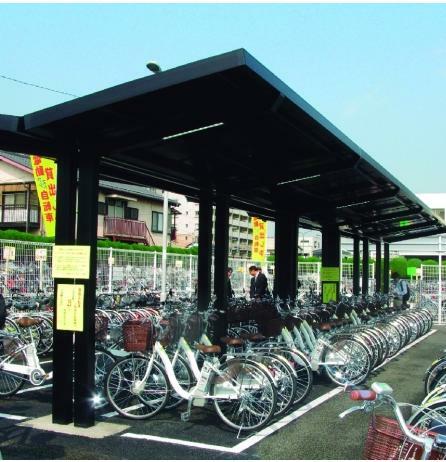 Those who want to use the bikes can charge their cycles from the battery,’’ said Alexei Levene, managing director of TGCi. The three solar panels that are now used on the prototype are large. ‘’We are looking for smaller and more efficient panels. That would make the bike lighter too,’’ said Shyamkumar, technical director at the TGCi. The solar bike has a nice white basket in the front, a powerful light and a soft horn that works at the click of a switch. 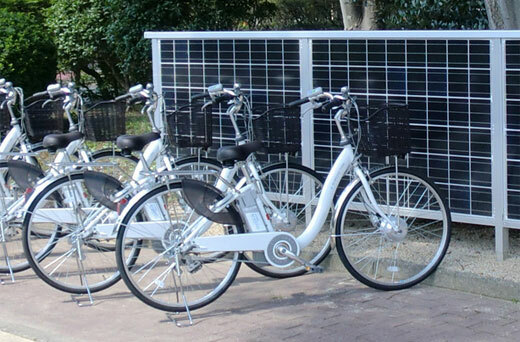 The bike can be pedalled too, if it runs out of solar energy or if you feel you need to exercise your leg muscles. ‘’Our intention is not commercialism. We need people to think of such alternatives and understand that such things are possible,’’ said Alexei Levene. ‘’We want this city to become the hub of social innovations like this in areas such as clean energy, waste management and innovation education,’’ he added. With the annual event of the CII falling on the International Women’s Day, the CII and TGCi also announced a series of initiatives to empower women, including a one-and-half-day residential leadership retreat exclusively for women in May and a campaign for women. This entry was posted in Education, Science and Technology, Innovation, IT and tagged india solar, Kanthari International, Kanthari International (formerly IISE), solar bicycle, solar bicycle in technopark, solar bicycle in thiruvananthapuram, solar bicycle in trivandrum, solar india, TGCI, TGCi Vellayani, Thiruvananthapuram, Trivandrum, Trivandrum Global City of Innovation, UST Global solar bicycle. Bookmark the permalink. Kindly let us inform the price of the solar bicycle. Gurantee period, Service level facility in case of any repair, how to place order, period of delivery and other features of the solor innovation. Vivekanenda Nagar, Vellayani, Nemom P.O.